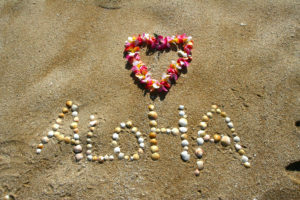 Aloha!!! The birthplace of surfing needs no introduction. No other place on earth conjures up images of paradise like the Hawaiian Islands. 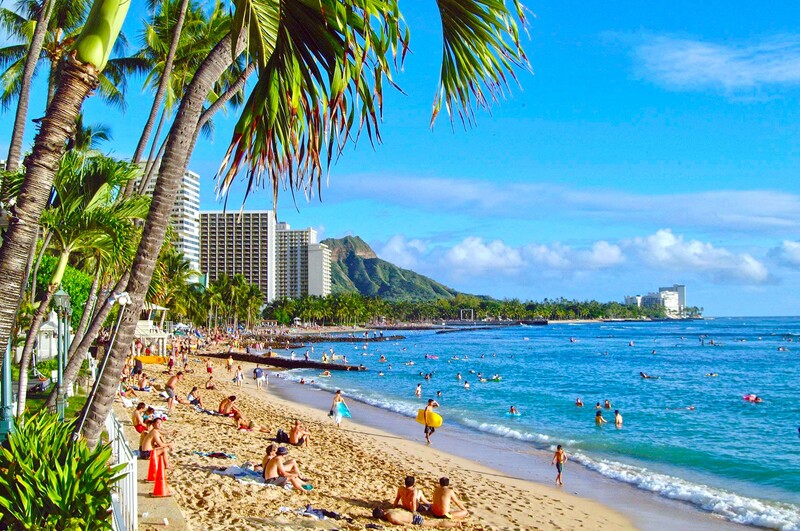 Whether you crave adventure, culture or a relaxing state of mind while soaking up the suns rays on a beach filled vacation, this place has got you covered! There are 7 major islands, but most travelers will plan to visit the Big Island, Maui, Qahu and Kauai. The more adventurous traveler may find themselves on Lanai or Molokai, which has the worlds highest sea cliffs. Discover where the world of surfing began. 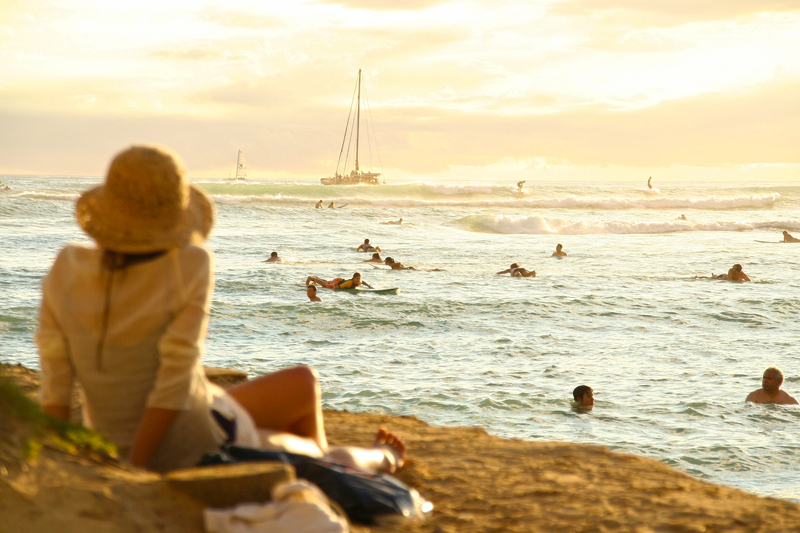 The popular Waikiki Beach is home to some of the best surf conditions in Hawaii and a constant break and graceful rolling waves provide a great surf experience for both beginners and experts alike. 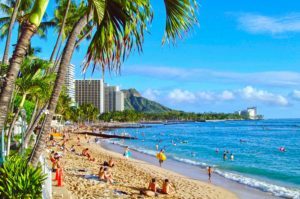 Imagine yourself hitting your first wave on this world famous beach with the extinct Diamond Head Volcano as your back drop. Cherish these moments! The Polynesian culture is certainly alive and well on the islands and no better place to experience this is at the Polynesian Cultural Center which is located on the north shore on Qahu. 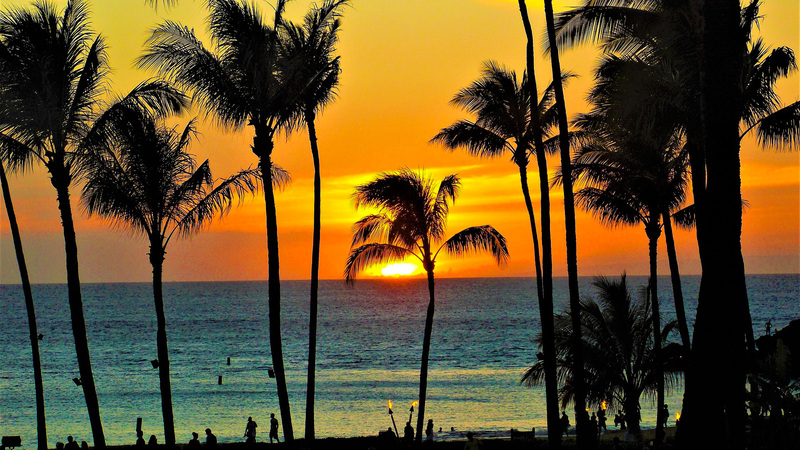 Dancing, live shows and a proper Hawaiian Luau – sign me up. 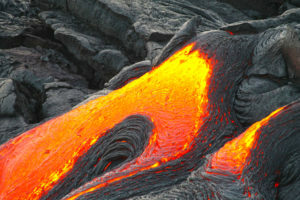 Great Earth Expeditions can personalize a Hawaiian vacation just for you! 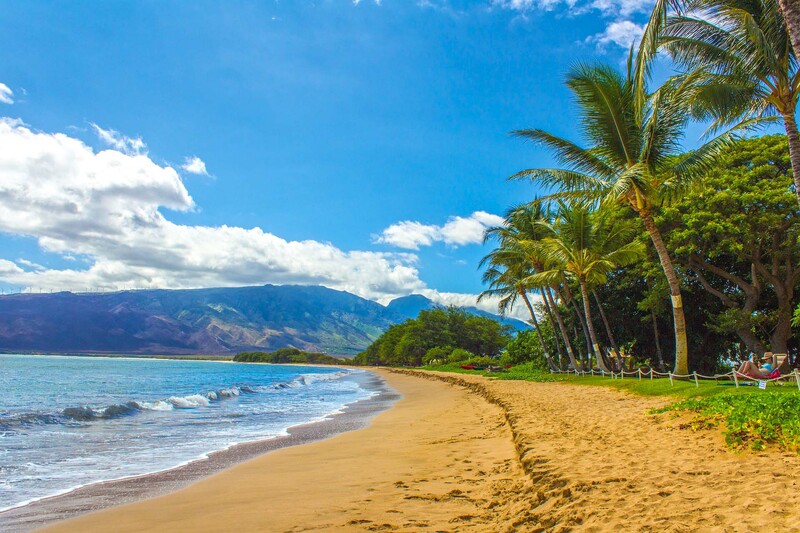 How about on the island of Maui; known as the Valley Isle and for good reason. The island is home to lush tropical mountains much to the contrast to the mighty and barren Haleakalā. 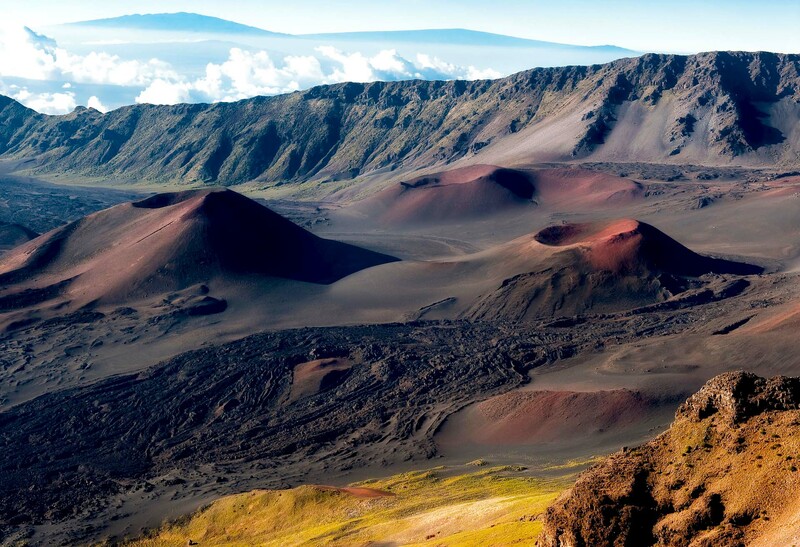 This is a dormant volcano where visitors can drive to the summit to marvel at the largest dormant volcano crater anywhere on earth. 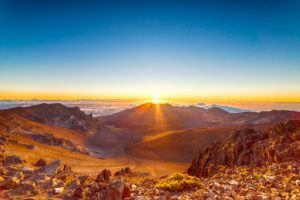 For those really early risers, you can book a tour to catch the sunset over the crater and bike down the switchbacks of this 10,023 ft beast. A drive along the winding road to Hana is also a must; windows down and tropical winds blowing through your hair as you stop to swim in one of the many emerald waterfalls and feast on fresh produce at the roadside fruit stands. Road-tripping Hawaiian style! 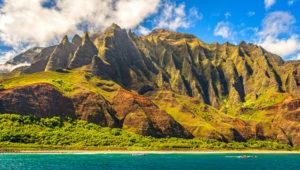 For some real adventure, the island of Kauai offers some of the best hiking in the islands chain. 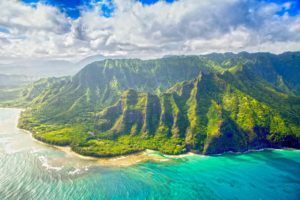 The Waimea Canyon is a natural wonder which Mark Twain described as the “Grand Canyon of the Pacific.” Many of the trails pass through lush tropical forests, past towering waterfalls and ending at mesmerizing sea cliffs that rise 2500 ft from the Pacific Ocean. 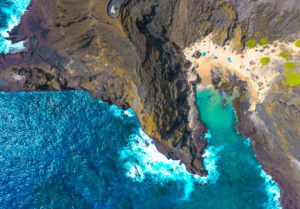 Take to the skies for a birds eye view of this canyon and coastline from the seat of helicopter; an image that will forever be ingrained in your mind. Back from your time in the clouds, it’s now time to take to the water. Snorkel among coral reefs to witness colorful fish and an abundance of marine life or kayak along side dolphins and sea turtles. 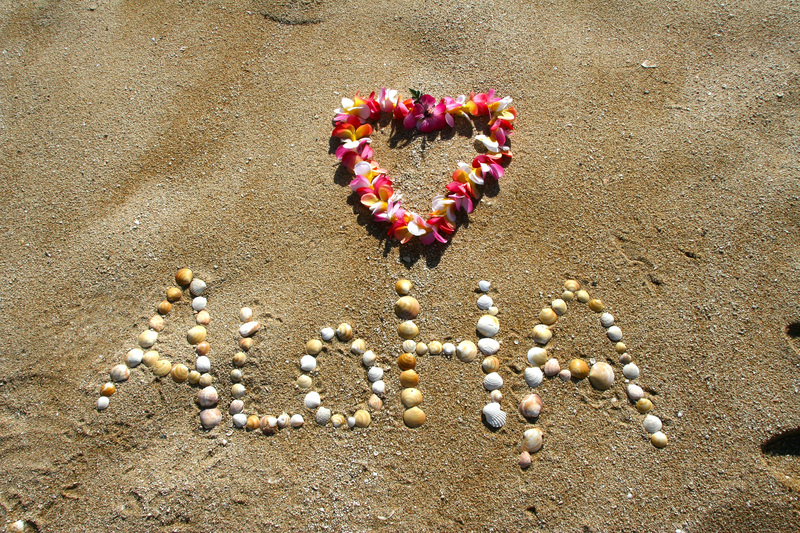 Hawaii will make your heart sing, ready for some soulful music?